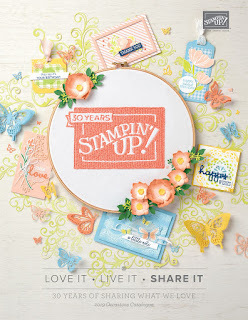 Fall in love with stamping all over again with the gorgeous new stamps, papers, accessories and more in the new 2019 Occasions catalogue! Leave thoughts of winter behind and pull yourself into a happy land of Valentines, florals, and so much more. Want to view the catalogue in .pdf format? Click the photo or else HERE. DON'T FORGET: Sale-A-Bration is still going on so you get fabulous free products with your orders! Sneak Peak for February's Paper Pumpkin kit! 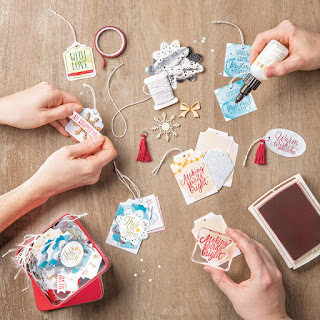 Get an inside look at February’s Paper Pumpkin kit! Ever wonder what goes into the creation of a Paper Pumpkin kit? We’re about to divulge our Paper Pumpkin secrets with a “behind-the-scenes” sneak peek video showing you how it was designed and developed. In this video you will . . .
• Get a fun sneak peek at what’s to come in this month’s Paper Pumpkin kit! Don’t miss it! Come join me for a fabulous afternoon of cardmaking & fun! Delicate laser-cut overlays let the colours peek through on these all-occasion cards. Store or gift your cards in the reusable storage envelope. You will makes 16 cards using the Incredible Like You stamp set and card kit, 4 each of 4 designs - no cardmaking experience required. $40/per person includes all materials, 14+ only please! RSVP by February 2nd, only 6 spots available! Please email me at caroline@kobayashi.ca to reserve a spot. Can't make the class but STILL want to make the cards? I have you covered! You can order this kit online and play at home. 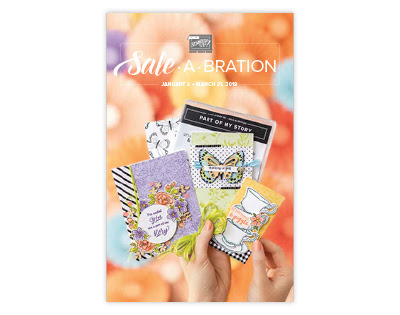 Sale-A-Bration is BACK, our most awesome promotion of the year! Earn free products with qualifying orders, 2 different levels to choose from! Stamps, ribbons, pressed wood embellishments, Designer Papers, foil sheets, card kits -- so much new goodness to choose from. 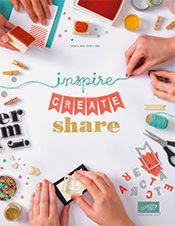 Check out the SAB mini catalogue HERE and online shopping to get some awesome loot! 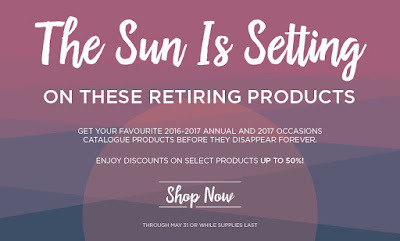 2018 Retiring List, free draw AND free catalogue! 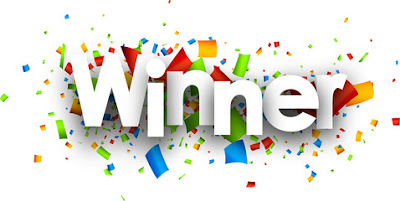 WINNER WINNER! Could that be you?! Would you like a chance to win a $200 shopping spree from the new catalogue when it's released in June?? ** BONUS: All orders will get a free 2018/2019 Stampin' Up! catalogue shipped out next month! Looking for some new Autumn themed stamps, papers and accessories to play with? 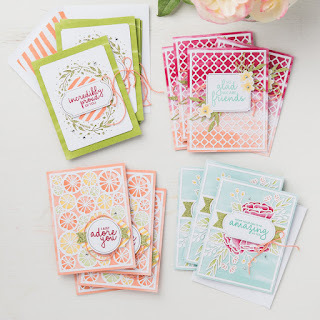 You'll love all the new options from Stampin' Up! this fall! 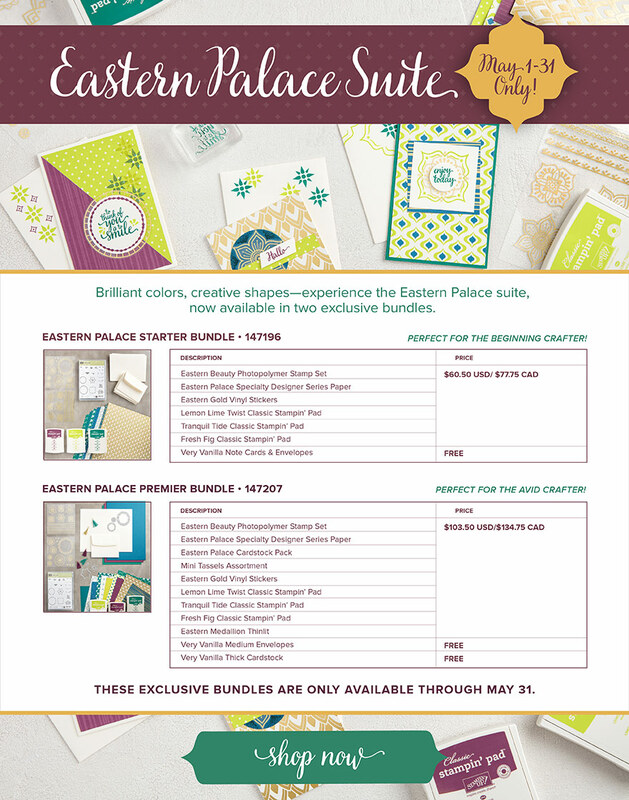 Eastern Palace Suite - Until May 31 only! Who needs Cyber Monday when there is Wonderful Wednesday? FREE SHIPPING + MORE! There are plenty of fabulous deals to be had right now and still time to shop for holiday crafting supplies as well as gifts. Stampin' Up! has 20% off selected stamp sets on sale until midnight tonight, plus the Holiday catalogue, Clearance rack and much much more! I'm offering FREE SHIPPING on all orders placed over $50 in product -- simply shop online through my store, and then I'll reimburse you the shipping costs! All orders placed on Wednesday November 30th over $75 will also receive a FREE TIN OF TAGS Project Kit, worth $29! 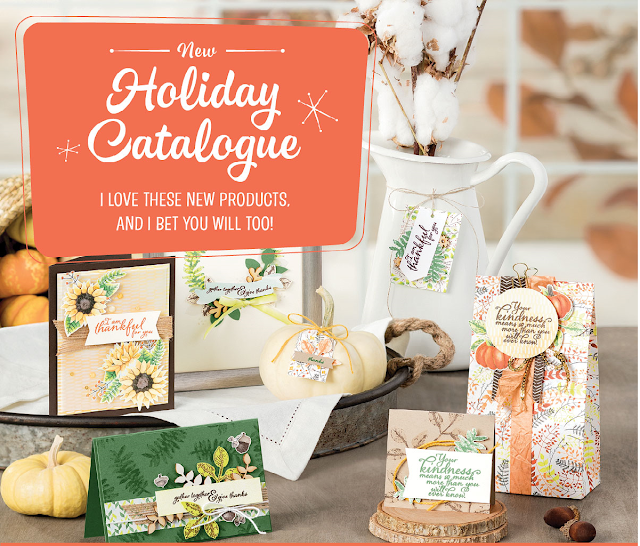 The new Holiday Catalogue is up and ready for you! September is here, and with it comes another fabulous Holiday Catalogue to get excited over! 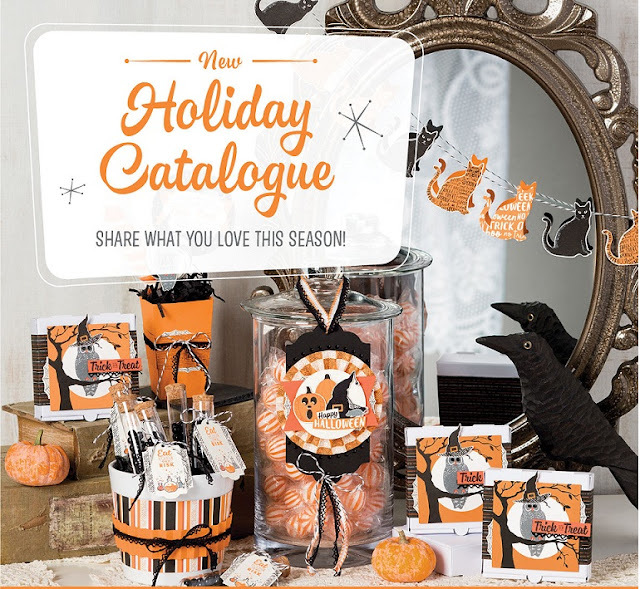 Fall, Thanksgiving, Halloween, and the magic of winter holidays are all represented in over 50 pages crammed full of amazing new stamp sets, papers and accessories -- perfect for your craftin' pleasures!